The gorgeous Dominican weather in February makes this another of our favorite months in our Caribbean homeland! Forget the winter blues, the cold toes, the chapped lips, and Seasonal Affective Disorder... Here in the DR you can expect the sun to shine every day. 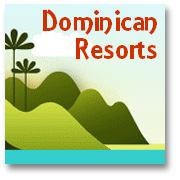 During February in the Dominican Republic the typical temperatures average out at close to the mid-70's F (24C). This lovely temperate month is ideal for getting to know the island due to the fact that walking, hiking and touring is so much more agreeable than it can be in the sweaty and close mid-summer months; a period more suited to lying immobile on the sand within easy reach of an ice-cold Margarita! 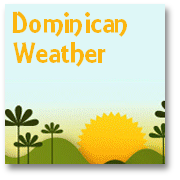 In the statistics for weather in February in the Dominican Republic show that, similar to January in the DR, there is typically a high of around 82F (28C) and a low that rarely dips below 70F (21C) even during the might and early morn, whilst the Sun is transiting the other side of the globe! 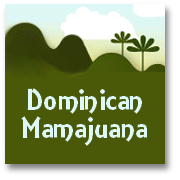 Rainfall is rarely a feature of Dominican weather February-time, with a monthly average around 1.7 inches. This means there are no 'rainy days' that would be expected during your vacation, or visit to the DR. 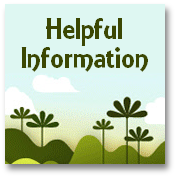 If it does rain in the Dominican Republic during February it is typically for a short burst in the later afternoon, say about 17.00hr -- about the same time that any thunderous activity is likely occur during this particular month. You should wake on a February morning in the Dominican Republic after a warm but pleasant night, to temperatures of little more than 70F (21C) and then experience a pleasantly sunny day with temperatures reaching a daily peak of nearly 83F (28C) between 13.00-14.00hrs. 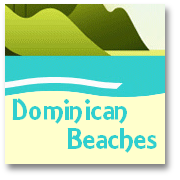 The fact that Dominican weather in February offers an overall average temperature of close to 76F(24.4C) makes it one of the most pleasant months to pay a visit and enjoy the splendors, warmth and welcome offered by the locals in whichever of the popular Dominican resorts you decide to choose as your base. Discover why you should try to visit Altos Chavon.